Frederik March 03, 2018 Comment? 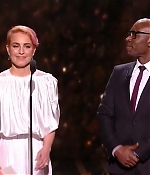 Noomi was a surprise guest – and a vision in white – at yesterday’s 43rd Annual César Film Awards in Paris. 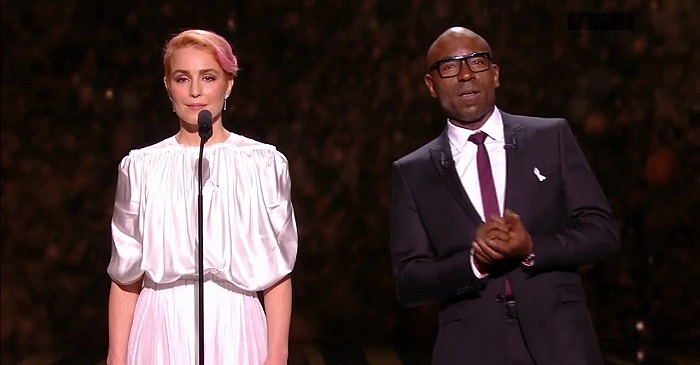 Together with Lucien Jean-Baptist, she took the stage to present the César for Best Original Screenplay to Robin Campillo. Pictures from the arrivals and the show have been added to the photo gallery, a segment of her presentation has been added to the video archive. Enjoy.